Why do you need a website for your note business? There are over 239 million users online making up 77% of the US population according to Internet Word Stats – and that number is only growing! Fill the Customers Need By Solving Their Problem! 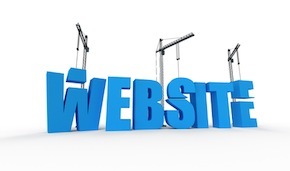 It takes planning to build a successful website. So let’s look at the..
Take some time to decide on the primary function of your note business site. Is it strictly a brochure or corporate style site that provides information about your company? Will it provide educational content to help people understand the process of creating and selling notes? Is the focus to motivate visitors to complete an online quote request worksheet? Are you trying to attract visitors through online search engines or will you use offline advertising to drive traffic? While a website can try to fill all of these needs the primary and secondary goals should be evident to users and the action you want them to take. A brochure site is generally static with minimal updates. However an educational site or one designed to attract search engine traffic will need frequent new content. This will play a role in selecting a programming platform. While web developers often have their own preference for programming we have found WordPress.org to be an excellent option. This content management system (CMS) is not just for blogs. Many companies are now taking advantage of its functionality using a combination of static pages and blog style articles. Many business owners default to a domain name that closely resembles their company name. However, there are benefits to selecting a domain name that includes keywords, which indicate you buy notes. Including words like note buyer, note investor, trust deed buyer, or contact buyer will clearly tell people what you do. For example, when we started Diversified Investment Services, Inc. in 1997 we selected the domain name of diversifiedinvestment.com. We couldn’t shorten it to the initials DIS because it was already in use by Disney. Initially our selection worked fine because people were contacting us from ads, business cards, brochures, and other offline marketing efforts. Over time we found our choice was long, hard to spell, and did not specifically describe note buying. As the number of web sites increased and search engines evolved we discovered there were advantages to using keywords in the URL. In 2001 we started using NoteInvestor.com for online traffic. We then switched the static site to a WordPress Platform in 2008 to make it more search engine friendly and easy to update. For additional keyword ideas related to note buying you can use the GOOGLE™ Keyword Tool or refer to the SEO & Keywords section of the Finding Cash Flow Notes Training. You should purchase, own, and control your domain name. Don’t leave this valuable asset in someone else’s hands. Also avoid using subdomains (where your website name is added onto a different main domain name). Once you have purchased a domain name for your note business you will need to select a web hosting company. This is where the files that make up your website reside on the World Wide Web. For most sites a shared hosting plan will fit the traffic demands. This is a much more reasonable option than using a dedicated server. We are using and including the services of Host Gator for all the Note Buyer Sites with great results. Once the hosting company is selected you will need to update the domain registrar account with your new name servers. • Professional – The site needs to look like it represents a business. This includes photos and backgrounds. Use colors like blue, green, or maroon that invoke feelings of trust, reliability, and stability. There is a reason the banks and other financial companies lean towards these colors. • Visually Appealing – Visitors should find the site inviting. If it contains excessive graphics, music, or content they will hit the dreaded “back” button in the browser window – never to return. • Simple Navigation – Make it easy to move from one page or topic to the next using breadcrumb style navigation links. If you want them to first and foremost, Request a Quote, then make that a prevalent option or link on every page! • Demographics – Take into consideration the age and preferences of the average visitor. For most it is easier to read black text on a white background in a San Serif style font (like Verdana) for online applications. Also bump up the font size of text to something above 12 point so it is easy to read. • Less is More – It should be very clear what each page is about and the action the visitor should take next. Avoid clutter and break content into two to three lines per paragraph with good use of headings. • Above the Fold – The most important items should be viewed on the top half of the page, before a user needs to scroll down. Like newspaper headlines, above the fold is gold on the Internet too. • Behind the Scenes – The design should take into consideration load times and active links. Sites are penalized by search engines for broken links or slow load times. • Useful – Give users what they are looking for. The design and content should all focus on solving their problem and meeting their needs. About – This page tells people “Who We Are”. It should stress the benefits and credibility of your company. A photo of you can be helpful when building trust online. Services – This covers What We Do” or “How We Help” the customer. It should be benefits oriented and help the customer see what’s in it for them. Request a Quote – Clearly let visitors know how they can obtain a quote or free analysis of the note’s fair market value. Standard options are to have them call for a quote, download a form to print, complete and fax, and/or input the information online using a form that submits the information to you via email notification. Frequently Asked Questions – Common questions that people have when selling mortgage notes. Contact Us – How the customer can contact you. Include name, address, phone number, fax number, and email address. If you don’t want to display the email address then have a form they can submit or email information. Articles – Helpful tips and ongoing articles that let sellers know how they can improve the value of their note. Also provide updates on market conditions, tax time tips, or reminders to check tax and insurance status. Articles also help your site take advantage of using updated content to improve search engine rankings. Just don’t let the articles overtake the home page for a site that is focused just on note holders. The articles should be accessed from a link on the home page to a secondary page and/or show the most recent article titles in a side bar. Email Sign up – Collect emails of note holders by offering something in exchange for their email address. Testimonials – Including testimonials from satisfied customers or showing how a problem was solved on a transaction can boost confidence a note seller should contact your company. RSS Feed – The RSS (Really Simple Syndication) feed provides for easy notification of updates to websites. While developing your content be sure to research what the competition is doing. Visit sites with top listings in the paid and natural search engine results to see how they are promoting their services. Once you have a plan and content you are ready to create the site. It is possible to build the website yourself using ready-made templates and tutorials available on the Internet. But unless this is your specialty or hobby, it is easy to end up frustrated and dissatisfied with the results. If you are not comfortable with a do it yourself method, you’ll want to hire a web developer to install and build your site. If you approach a developer with an exact plan including content in hand, it is possible to have a basic site implemented for around $200 – $500 using an existing template. Or better yet, tour the 14 sample Note Buyer Sites. These sites were designed specifically for the note business using top-level technology and provide all the design and content elements essential to finding cash flow notes. With these ready to go sites, 6 out of 7 the steps have already been done for you. Just purchase your domain name and leave the rest to our team. Once your site is up and running commit to adding new content at least once a month to keep it relevant and fresh for both potential customers and search engines. So does your note business need a website or maybe a new look? Be sure to check out the introductory special at NoteBuyerSites.com! Fantastic information Tracy. I’ve found that WordPress.org has many amazing abilities and I’ve seen statistics showing that a large majority of sites are on that platform. One thing I have found however is that with all the options available and all the different themes it can be difficult for some to learn. I would add Midphase.com as an option. It does allow for one click integration with wordpress.org but also has a web builder software called RVSiteBuilder that we use for our site and it is very easy and straight forward to learn. Every word you’ve spoken in this article is sound solid advice. We received a free website when my husband and I purchased the cash flow note course through the Russ Dalbey WITCFB a few years back. One day I clicked on my website (shortly after the Thanksgiving holiday) and it no longer existed. It has vanished! But we have not. So following your advice I’ll simply create (or re-create) my own note business website, and my husband and I will persevere and continue on in the real estate note business. Meanwhile, I’m using my note business’ mailbox to receive any incoming leads to those who contact me via other avenues such as GOOGLE+, Facebook, LinkedIn, etc. ; and I redirected the domain name I purchased to my blog. Hope to have everything fully operational by 2012. If I get it done it will indeed be a Happy New Year! !